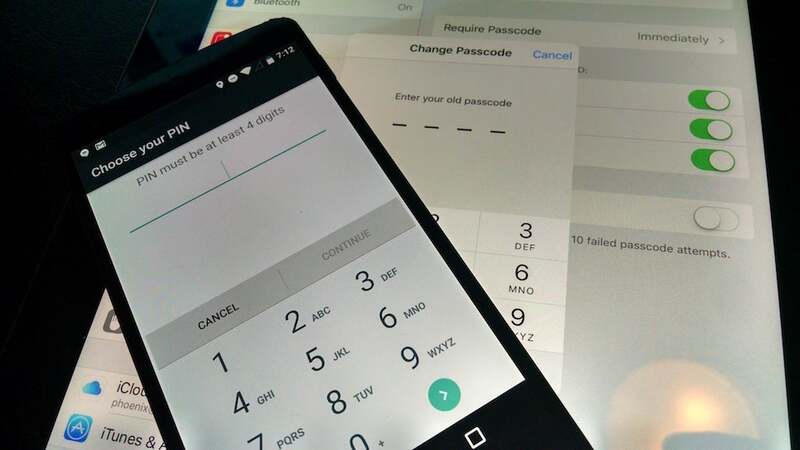 You probably already know that the more digits in your passcode, the better, but if you're still using a four digit passcode, especially on your iOS device, you should probably change it. Here's why, and how to do it in iOS and Android. In a U.S. District Court filing December 16 related to an international heroin interception at an airport, a judge agreed to suppress evidence obtained from a courier's iPhone. The case isn't the interesting part, but rather what a Homeland Security agent testified about: That his colleagues routinely use an IP Box, or something they describe as such, to crack iPhones. The issue in the case was whether compelling the courier to give his passcode before he had been notified of his rights meant the evidence should be suppressed. The agent was brought to testify that it was trivial enough to extract the data with an IP Box, and thus that it was of no consequence whether or not that passcode was obtained improperly as they could just crack the phone. You'll be prompted for a six-digit passcode immediately. Type your new passcode, then tap again to confirm. Tap "Screen Lock," and then "PIN." Type your current PIN, then type your new PIN. Type it again to confirm. That's all there is to it. It's a small thing, but one that can definitely increase your security. Of course, the average thief is looking to sell your phone rather than take what's on it, but considering how much important information is on our phones these days, you can't be too careful. I have the 'erase data' setting turned on. After 10 failed attempts my data gets erased. I assume this puts a stop to brute force, and since the memory is flash there isn't a trace?